I do not believe in evil at all. I believe anything bad that someone does is the result of psychology. I believe we are all born innocent and good. Things happen in life to cause people to do bad things as a result. This world needs lots of healing! If I were to write this article today I would say: Good and Evil are human constructs. They only exist because we create them. You are absolutely right! The world needs a lot healing. First I googled bipolar, then being affected by demons, then are demons 100% evil, then living in the grey, then good vs evil and… that’s when I found you. Whew. Took a while for me to get here. But I appreciate your perspective. You said a group of people decided another group of people was evil. You also said implied we are made of pure light when not here on earth. AND I like the comment about GOD creating the devil. AND that you have Buddist tendencies. I relate well with Hinduism. So if you believe in demons, do you believe they are 100% evil?? Seems like you may believe “god” created everything, so if he created the devil, then he must have also created demons. So can they still be part light as we are part of the dark matter??? Hi Dayna, I can’t really say I know much about demons. Are they evil? Well I think if I were to articulate my ideas about “good” and “evil” now, I would say that they are social constructs. They are characteristics that we assign to people, places and things. 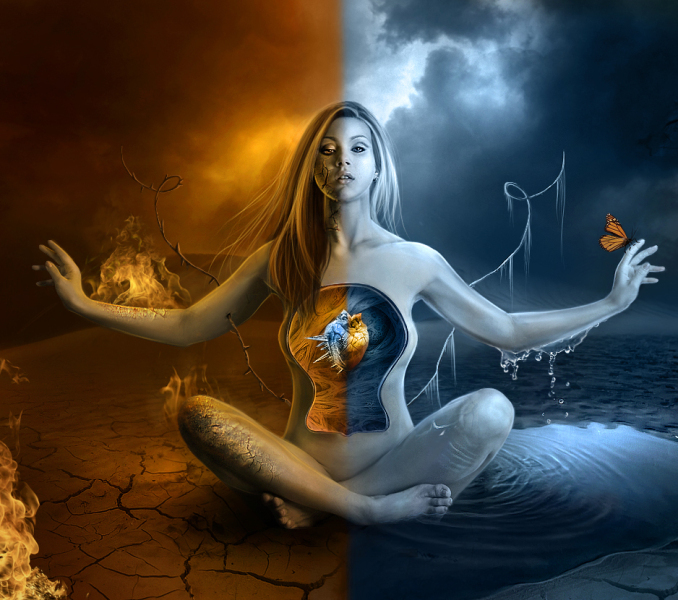 We live in this dualistic reality that forces us to evaluate and assign everything as either being good or bad. I feel like most of us spending our lives determining if something is good or bad. So, is a demon evil? I can’t really say. What did the demon say or do to determine the way you evaluate it. I don’t think God would evaluate anything or anyone as being good or bad. If God is Love, then how can it see anything else but through the eyes of Love. There would be no judgement.